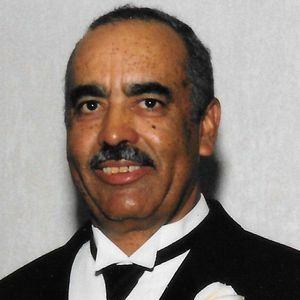 Henry "Scoot" Lewis Spaulding, 80, departed this life on December 23, 2018 after succumbing to prostate, bone cancer and Alzheimer's disease. Henry was born on May 28, 1938 in Whiteville, NC to Lewis and Crettie Lee Spaulding. Henry "Scoot" moved to New Jersey in his early 20's. He was employed as a heavy equipment and crane operator for over 30 years and worked for several construction companies to include: Thomas Brodesser, Foundation and Structures, and Balfour Beatty Construction. Henry built many of the jetties and bulkheads along the Jersey shore as well as helping to construct the North Wildwood Bridge. In addition to being a crane operator, Henry "Scoot" enjoyed gardening, mowing his lawn and blowing the leaves that accumulated in his yard. Prior to his illness, Henry took great pride in maintaining a beautiful lawn that some say looked like indoor/outdoor carpeting. Most days Henry could be found outdoors tending to his garden, flowers and lawn. Henry was predeceased in death by his son Brady of Cape May Court House, NJ and his brothers Thurston, Lester and Clinton of North Carolina. Henry is survived by his wife of 58 years Dolores Spaulding of Cape May Court House, NJ, daughters Robin Smith (Doug) of Wake Forest, NC and Renee Thomas (Joseph) of West Lafayette, IN; grandson Tyler Spaulding of Millville, NJ; granddaughter Lauren Thomas of West Lafayette, IN; great granddaughter Faythe Spaulding of Millville, NJ. He is also survived by his brothers Wade (Ernestine), Albe, Ellis (Kaye), and Darrell (Marilyn), his sisters Sandra Spaulding-Hughes (Herbert), Mildred Moore, and Carolyn Forte and a host of in-laws, nieces, nephews and cousins. Funeral services will be Saturday, December 29, 2018 at Christ Gospel Church, 2209 Route 9 South, Whitesboro, NJ 08252. Viewing will be from 10 to 11 and service will follow at 11 a.m. Interment is private. Mrs Spaulding,So very sorry for your loss,he was a great man.Just found out today that he passed.Please give my condolences to the girls.If you ever need anything just call. Hour heart felt condolences goes out to the family. Our prayers and thoughts are with you ! Sorry for your loss. You are in my thoughts and prayers. I'm going to miss seeing him out in your yard. Renee and families, Please know we are praying for u to be lifted up by grace, peace, and mercy of Christ Jesus during this time of bereavement. Remember those precious moments with your dad. May God keep you and bless you and yours. Sincerely Pastor Jimmy and Jeanette Love. GOD has added a great man to his heavenly family. I am glad I had the chance to meet you scoot. Dee and family you are in my prayers for acceptance. Dear Renee, Mother Spaulding, Robin and Family, We are standing with you in love and prayer at this most tender time. Lifting you to The Lord for comfort and peace as you prepare for your husband and Father's Home-going. Our hearts are heavy with you but trusting in our Prince of Peace, Emmanuel. .
My most sincere condolences upon the passing of your father. Our thoughts and prayers are with you and your family.